This is Anne Francis with Sabrina. Before and After photo! What a differance she looks. 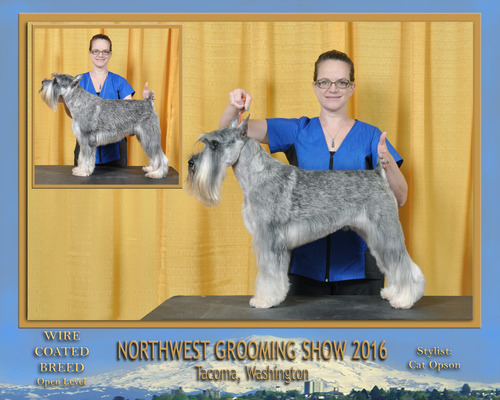 Anne is on the Groom Team USA for 2016. Cat and Anne did a great job on grooming the dogs. 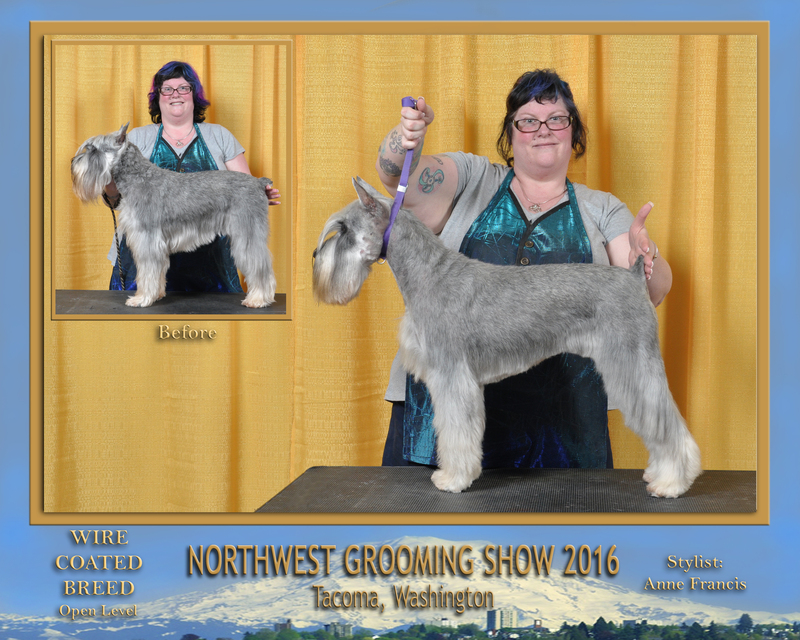 This is Cat Opson with Arthur at the Northest Groom show in Tacoma, WA. Before and after picture. He looks so handsome!! Cat is also on the Groom Team USA for 2016 too.